High School Samantha would be shocked and horrified by the decisions that adult Samantha is making. I would disgust myself. What happened that changed my world view of me? It would be a mortal sin just 14 years ago. I was the girl who refused to run. The yearly mile run was torture for me in P.E. class. When I went to collage I thought that I escaped it. Nope. We were required to do a 1.5 mile run. I protested and wore platforms and walked it. What a naughty teen I was. So rebellious. Lately I’ve fallen in love with running. What happened? I have no clue, but I got the wild idea to try a 5k. 3.1 miles. That is 3.1 miles more then I have ever ran prior to 2 months ago. I wanted to start easy. 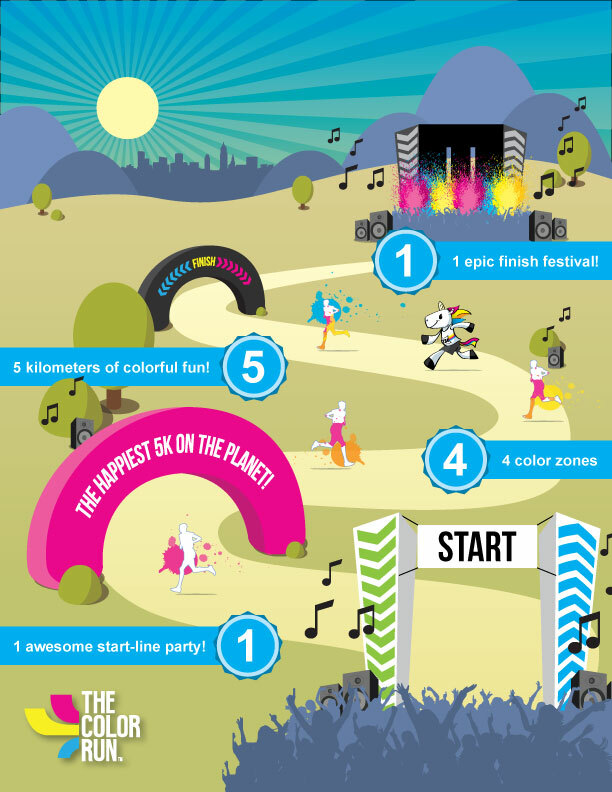 That’s when I found the Color Run. 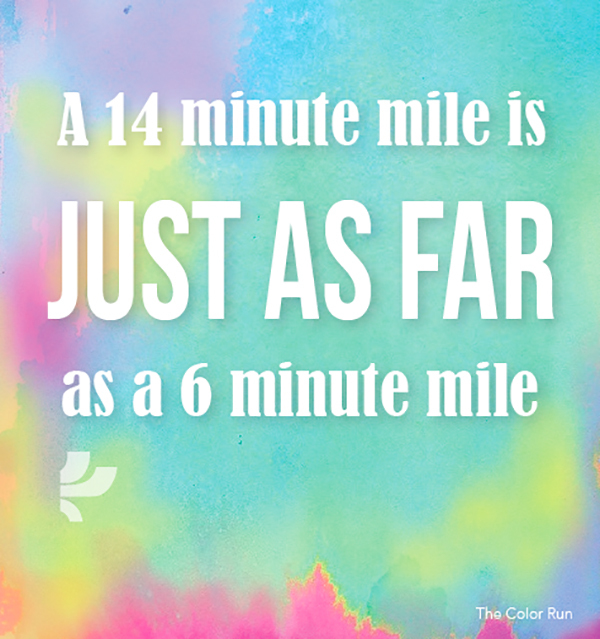 It isn’t about how fast you run and there are huge color fights where you throw packets of color around at the other runners AND money goes to charity. This sounds like nothing but pluses all around. Now I need to be able to run 3 miles in the next three weeks. Lets see how that goes.